Have you tried Rhubarb in Newmarket yet? The menu offers classic bistro dishes with a “European” twist. We took over a table for 6 on a busy Saturday evening and received fantastic service and enjoyed tasty food. The added touches, such as the chefs tasters served in between courses make the dining experience unlike any other found on or near to Newmarket high street. You will be surprised by the fair prices and impressed with the quality of food. Rhubarb in Newmarket is certainly worth a try! We often find ourselves calling around Newmarket pubs on a Sunday looking for somewhere that we can get a late afternoon booking… often to no avail. 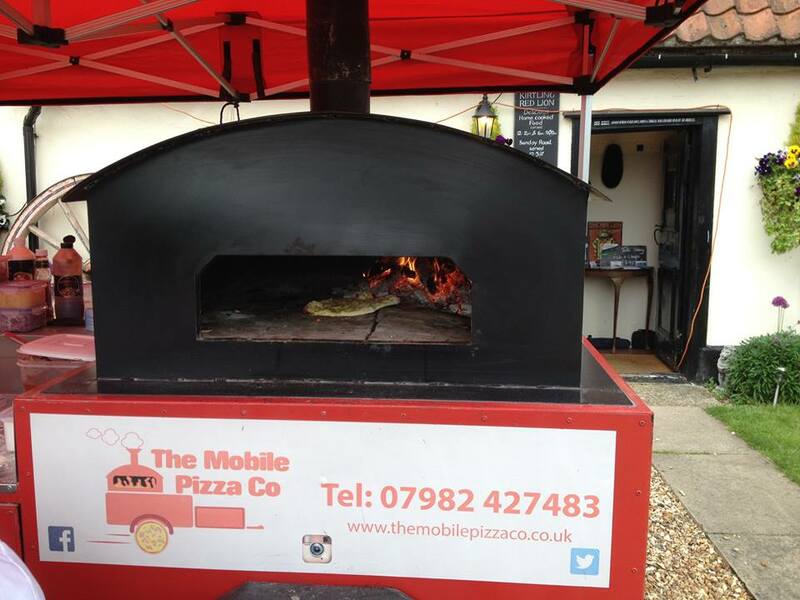 Kicking off on the most recent Bank holiday weekend, The Red Lion Kirtling now offer fresh stone baked pizzas every Sunday evening. From 6pm onwards you can order a 9-inch delicious stone baked pizza for as little as just £5.50. They also offer discount for orders of 4 or more. It’s the perfect Sunday treat / quick feast and comes highly recommended.